Frenchman DJ W!ld returns to Roush’s vinyl only series this month with four groove-focused productions. His history within house and techno is well documented, dating back to the early-90s, the Frenchman has gone on to make the booths of DC10 and Rex Club his homes away from home whilst releasing on the likes of Robsoul, Off Recordings and VIVa Music amongst many. 2016 has been a decent year, with EPs on Adult Only, Vessel Records, Sanity and an earlier outing on Roush back in February, and here DJ W!ld returns to the label’s vinyl only series with yet another four-track package. 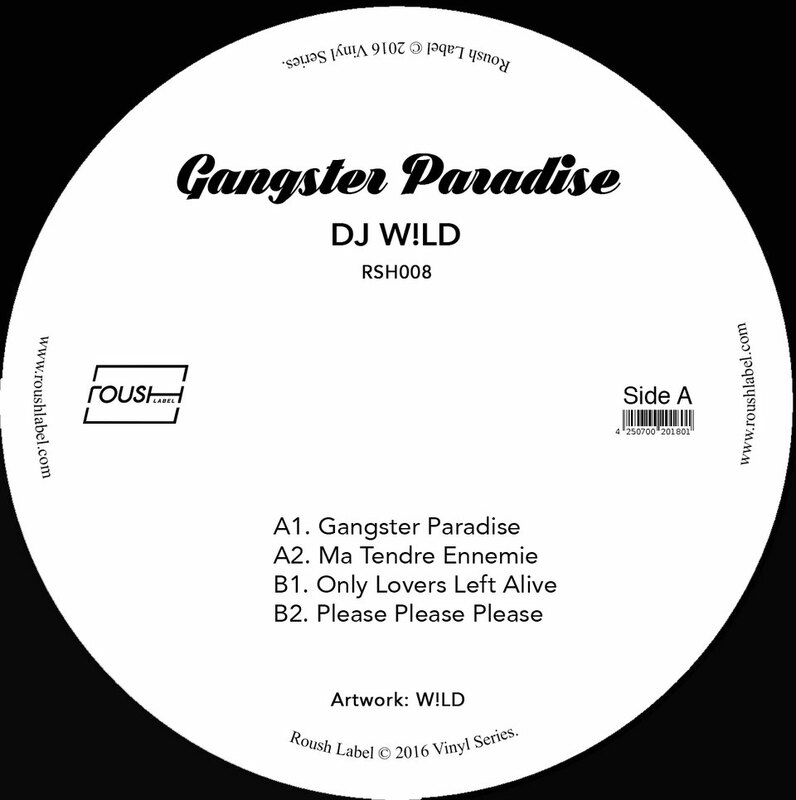 Title track ‘Gangster Paradise’ opens the EP with a series of punchy kicks, vocals and layered whirrs combining to create a tough, rough and ready production, whilst ‘Ma Tendre Ennemie’ offers a lighter alternative with a bubbling, acid tinged lead and subtle melodic sweeps throughout. On the flip, the B-side is welcomed by the intricate organic percussion patterns and delicate hats of ‘Only Lovers Left Alive’, resulting in an effort aimed for the after hours. Rounding out the EP, ‘Please Please Please’ reveals an infectious low-slung groove and clean 808 shots, offering that familiar, laid back Parisian aesthetic that’s possibly associated with the Frenchman’s work. It’s out now on Roush.